Much has been written on the most popular software and programming languages for Data Science (recall, for instance, the infamous “Python vs R battle”). 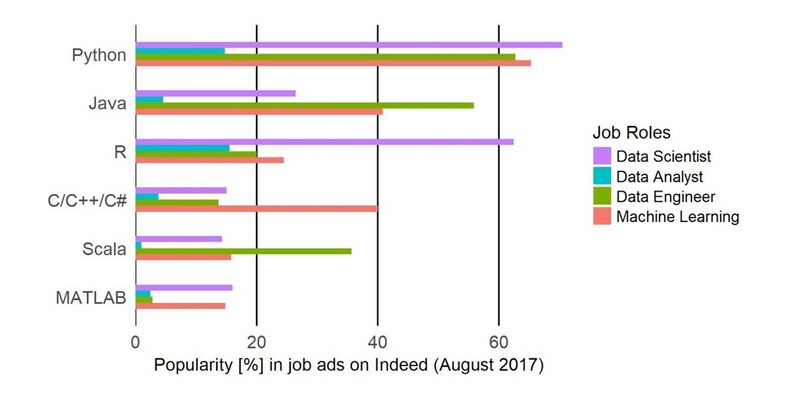 We approached this question by scraping job ads from Indeed and counting the frequency at which each software is mentioned as a measure of current employer demand. 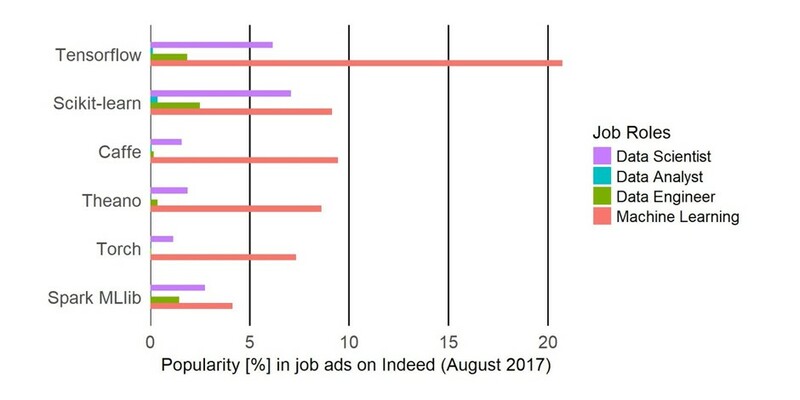 In a recent blog post, we analyzed the Data Science software Swiss employers want job applicants to know (showing that Python has a slight edge in popularity over R). In this post, we look at worldwide job ads and analyze them separately for different job titles. We included 6,000 positions for Data Scientists, 7,500 for Data Analysts, 2,200 for Data Engineers and 1,700 for Machine Learning specialists, as well as a population of tens of thousands of data professionals on LinkedIn. Our leading questions: Which programming languages are most popular in general, as database technologies, as machine learning libraries, and for business analysis purposes? How well does the employers’ demand for software skills match the supply, i.e. the skills data professionals currently possess? 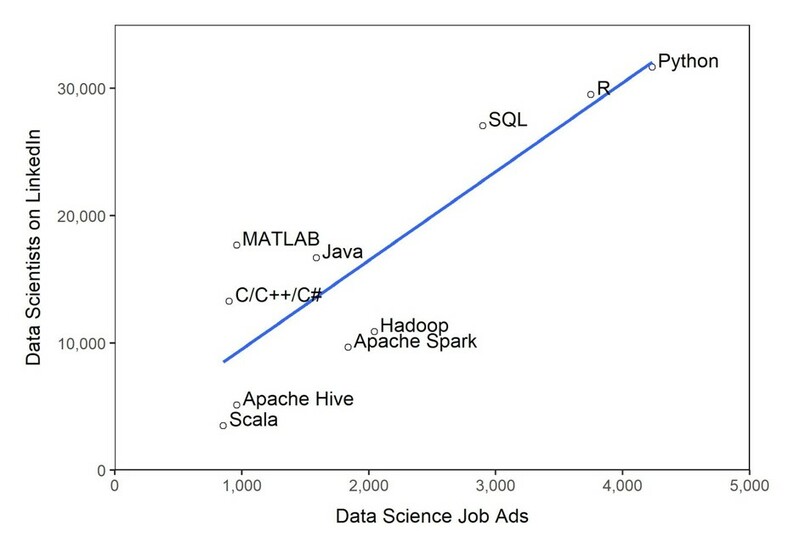 And are there software skills in high demand that are rare among data professionals? (Yes!) Check out the results below. A detailed description of our methods can be found in this post.